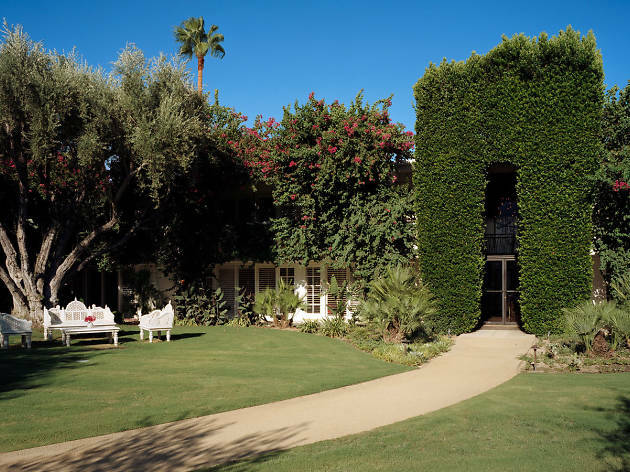 It comes as no surprise that Palm Springs’ concept of luxury is as colorful and zany as something out of a Lewis Carroll story. While a stay at the Jonathan Adler–designed, 13-acre Eden is a bit of a splurge, once you’re here, there’s no need to leave. Start your day with a libation from the Lemonade Stand and explore the exquisitely manicured grounds. Take a nap on one of the palm-tree-slung hammocks or cozy up by one of the fire pits. Once you’ve gotten your second wind, reserve time at the clay tennis courts or petanque or croquet areas. 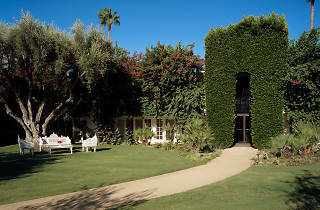 Then take a dip in one of the saline pools or head to Palm Springs Yacht Club (PSYC), a 3,000-square-foot spa, to use the Jacuzzi and steam room at no charge. End your day with dinner at Mister Parker’s supper club, self-billed as a place for fops, flaneurs and assorted other cronies.